MBA courses are experiential in nature and include research projects, business plan competitions, field studies and internships. Motivated and high-achieving undergraduates in the School of Business can complete both their bachelor's and master's degree through our five-year program. 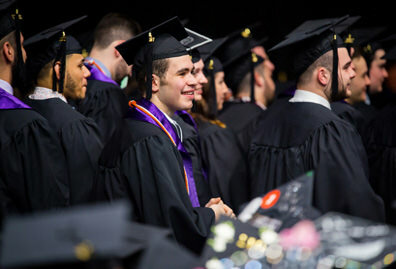 The business B.S./MBA degree puts students on track to influence the business world as leaders in thought and practice. Why Choose the Business B.S./MBA? The program consists of 150 undergraduate and graduate credit hours taken over a five-year period of 10 semesters and one summer session. Class sizes are small. 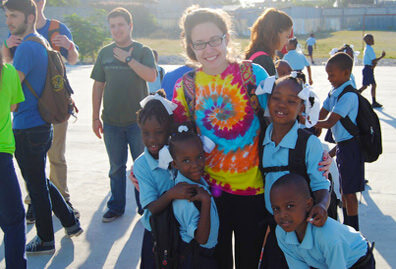 On average, there are fewer than 25 students per class. You will discuss topics face-to-face with your professors, and work on small-group project and computer-based exercises with classmates. 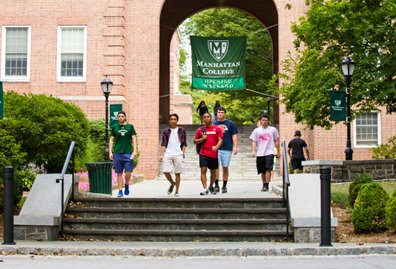 Manhattan College is unique in that it is a liberal arts college with excellent technical programs, like engineering and science. The School of Business has strong partnerships with these programs. So you will get the chance to research and learn with non-business students and faculty, too. It is a great exercise in teamwork to learn a subject from another’s perspective. “When I first got here, I didn’t really know what I wanted to do, so part of why I chose Manhattan was because it had a lot of options for me to look into. I took some business classes and got put into an intro Computer Information Systems (CIS) class. It was a lot about hardware and computing, and it was really cool. Eventually I also took a programming class, and I made a small app and found that it was really something I wanted to stick with. The Business Analytics co-major started my junior year, so I was one of the first people to be a part of that. It focused on statistical analysis and forecasting, and it really just hooked me. "Going for the 5-year program wasn’t really a decision I made until my senior year. I wasn’t sure that I wanted to do an MBA, but I talked to a bunch of people and figured it was best to do it seamlessly in five years while I had the chance, rather than get stuck in the workforce and maybe never go back to school. It just seemed like a very natural progression to me. 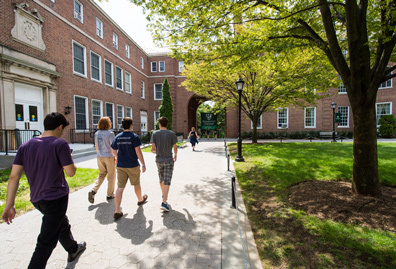 I was looking at other MBA programs as well, but one of the best things about Manhattan College is that I had the opportunity to be a graduate assistant and get some of my tuition paid for, which is really helpful and really beneficial. 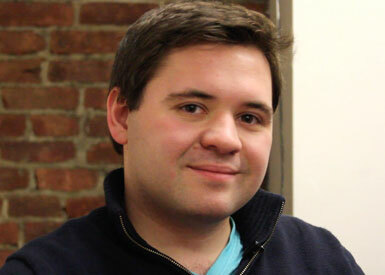 "I was also really close with many of the professors here, having had small undergraduate classes. I felt very comfortable with the faculty and the way they teach. Similarly, my MBA courses are pretty hands-on. They’re very discussion-based, and we do a lot of case studies. "It’s nice that there’s variability within the program — I’m in a data analysis class, a corporate finance class, I took a leadership class. So there are definitely different courses you can take that fit your needs. You have options. 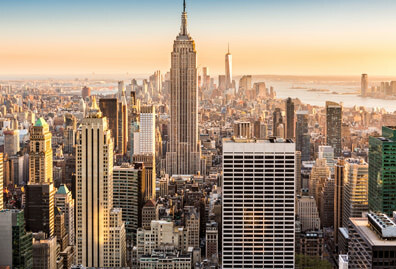 "Because Manhattan is a small school, you have the ability to get involved in a lot of different things, because there’s overlap between programs. For instance, I was going to a lot of professional networking events already, which were run by Beta Alpha Psi, the honor society for CIS, Accounting and Finance students, so I joined. I’m currently the vice president. "When I was an undergraduate student, a recruiter from UPS gave a presentation on campus. I met up with her afterwards and she gave me her card. Sure enough, I sent her a message and they hired me as an intern for the summer. It’s really helpful to have these kinds of recruiting events on campus. I did quite a bit of statistical analysis and computing, database building and SQL programming at UPS. I learned a lot that summer by getting to go to different events and places like the UPS distribution center. They’re doing a lot of high tech things there, which I found amazing. Most upper-level and senior positions within companies require a master’s degree. An MBA puts you on track to lead a department, consult with companies around the globe or even start your own business. Manhattan College provided the business administration framework that I use every day as an analyst. There were so many practical lectures and projects within the program — both in the classroom and abroad, where we partnered with a local business and developed a business plan to bring their product to the United States.